We eat lots of eggs and have eggs available for sale at $3.00 per dozen. 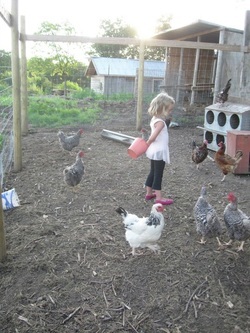 If you are interested in having your own chickens in your back yard, check out the mobile backyard chicken coop on Christopher's manufacturing website at www.kranzman.com. The city of Lincoln (NE) allows 2 hens without a permit and you can have more if you apply for a permit. 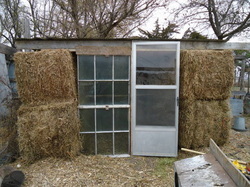 The chicken's cozy winter lodging.